MSM Gold® is a systemic enzyme and super antioxidant to help normalize inflammation and more! Is Glucosamine and Chondroitin or pancreatin, trypsin and chymotrypsin, the right choice for you? Chondroitin Sulfate is synthetic: also known as Calcium Chondroitin Sulfate, Chondroitin AC Eliminase, Chondroitin Sulphate A Sodium, Dermatan Sulphate, Chondroitin Polysulphate etc.. Not natural. Dose not help with free radical damage and is not a super anti-oxidant. Glucosamine: is laboratory made and is derived from shellfish or corn. You should consult your doctor prior to starting Glucosamine therapy. The official recommendation is that if you have an allergy to shellfish to avoid glucosamine. High dosages of glucosamine may cause gastric problems, nausea, diarrhea, indigestion, and heartburn. Glucosamine should be taken with meals to help avoid these problems. Dose not help with free radical damage and is not a super anti-oxidant. Say no to pancreatin, trypsin and chymotrypsin..
We do not use any Animal based formulas. Animal: Most systemic enzyme products use pancreatin, trypsin and chymotrypsin, which are harvested by juicing the organs of cow and pig cadavers in slaughter houses. These animal based enzymes can encourage dependency and only work in a very narrow Ph range. Dose not help with free radical damage and is not a super anti-oxidant. Why we only Use Vegetarian Enzymes. Plant: Vegetarian enzymes work in a very broad Ph range. Enzymes are proteins that facilitate chemical reactions in living organisms. In fact, they are required for every single chemical action that takes place in your body. All of your cells, organs, bones, muscles, and tissues are run by enzymes. It is so unique and effective, many health practitioners all over the country use it there office. It is PROVEN-EFFECTIVE and BIOAVAILABL. MSM Gold® is a super potent natural formula, you will feel and begin to move better with in as little time as two weeks. This all-natural blend of ingredients soothes and relieves muscle stress and discomfort in your joints in your hands, feet, legs, hips and back ... and supports the flexibility and mobility in those joints quickly so you can enjoy a more active and youthful life-style. MSM Gold® Is A Potent, All-Natural Anti-Oxidant Blend That Supports Your Body's Healthy Cells. MSM Gold® Helps Support Healthy Cells by Defending Against Free Radicals. 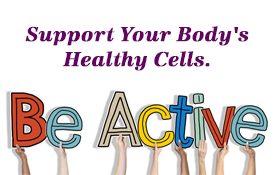 Free radicals constantly damage our cells on a cellular level. This kind of damage can degrade our cells to the point of causing pain and inflammation. The world is changing and we have to respond in a positive manner to survive the extraordinary exposure that our modern lives subject us to or suffer the consequences. F ree radicals can cause oxidation even inside the body. The environment in which we live is increasingly becoming perilous. Every day more and more electronic devices come into our lives and improve the quality of our life with time saving appliances, computers to help us with our business and hobbies. Unstable free radicals do everything they can to get another electron and become stable again. The problem is that they will rip away an electron from a normal cell in the body. This can cause serious damage to the normal cell. Basically, what is happening is that your body is rusting or degrading thru oxidation! Antioxidants are any substances that support or slow the oxidation process. Remember, free radicals cause oxidation - and antioxidants prevent oxidation. Antioxidants work by donating an electron to a free radical so it becomes a stable oxygen molecule. There are many different types of antioxidants such as enzymes, coenzymes, vitamins and sulfur containing compounds such as MSM. Also spices like Turmeric. All are in MSM Gold®. Taking proteolytic enzymes between meals ensures they go right into your bloodstream where they help optimize your body’s healing process. Live Enzyme Activated Delivery System ® (L.E.A.D.S. ®) insures assimilation at a cellular level. This particular combination of mineral cofactors helps to activate each individual enzyme for maximum particle digestion and complete nutrient distribution throughout the body. It increases the formula's bioavailability. Our capsules do not contain any, chemicals, gluten, dairy, eggs, preservatives, corn, artificial coloring or flavoring. All Natural Ingredients are guaranteed Non-GMO. Our facility that manufactures our formula is certified and in full compliance with GMP Requirements for Dietary Supplements. We also utilize a third party testing lab that insures that all our quality ingredients are tested and retested for purity and quality. All NWC Naturals® products are Made and bottled in a USA facility. Why use "proteolytic" enzymes instead of Glucosamine or Chondroitin? The term "proteolytic" refers to all enzymes that digest protein. In the body, proteolytic enzymes are produced in the pancreas, but supplemental forms of enzymes may coming from vegetarian sources, or extraction from plants (such as papain from the papaya and Bromelain from pineapples). The primary uses of proteolytic enzymes in dietary supplements are used as digestive enzymes, but they can also be used to support mobility and normalize inflammation. There are a number of clinical trials showing the benefit of using oral proteolytic enzymes. Proteolytic enzymes are also theorized to help the symptoms of food allergies and also support immune system. When an athlete works a muscle he produces micro-tears in that muscle. This is called inroad and is necessary to make a muscle grow stronger and bigger. Before the body can grow new muscle tissue it must first remove the damaged tissue caused by the exercise. White blood cells, called macrophages, will flock to the damaged muscle and start clearing out those damaged cells. Systemic proteolytic enzymes, taken orally, can digest and breakdown damaged tissue thus speeding up the healing process. Proteolytic enzymes actually support macrophage activity. Perhaps the strongest evidence for benefits of proteolytic enzyme supplements come from numerous European studies showing various enzyme blends to be effective in accelerating recovery from exercise and injury in sportsmen as well as tissue repair in patients following surgery. Studies show that protein build-up in the joints and tissues are a major cause of occasional pain and inflammation. These important proteolytic enzymes break down proteins from food to release important nutrients (peptides and amino acids) for absorption into the body. They also work systematically by breaking down foreign protein fragments before they can cause an inflammatory or allergic response. When proteolytic enzymes taken on an empty stomach helps in breaking down excess proteins like uric acid crystals. When proteases are used systemically they can reduce inflammation, block the Cox 2 enzyme, digest and clear exotic proteins in the blood. Those foreign proteins get into the blood sometimes can result in protein based allergies and inflammation. So the systemic enzymes help the body in removing damaged cells and tissue that can cause pain and inflamation. Glucosamine or Chondroitin do not have this power. With the high Orac scale MSM Gold® is a great super antioxidant to help fight free redial damage. MSM Gold® For The Stressful Life We Live Today ! Antioxidants are any substances that prevent or slow the oxidation process. There are many different types of antioxidants such as enzymes, coenzymes, vitamins and sulfur containing compounds such as MSM. Also spices like Turmeric. As in MSM Gold ®. Where does it come from? Stress, pollutants in our air, water and food is implicated in everything from aging and wrinkling of skin to bad health. This is clearly an issue for anyone concerned about their health, or just looking and feeling younger, and is especially important for those engaged in strenuous physical training. Fend off free radical damage! Free Radicals attack and break down healthy cells! Free radicals, also known simply as radicals, are organic molecules responsible for aging, tissue damage, and possibly some health issues. These molecules are very unstable, therefore they look to bond with other molecules, destroying their vigor and perpetuating the detrimental process. Antioxidants present in many foods, are molecules that prevent free radicals from harming healthy tissue. MSM Gold® The most powerful formula for your full life-style. MSM Gold® Is A Natural Vegetarian Alternative For Normalizing Pain, Joint Support and Fighting Free Radical Damage. MSM Gold® contains three different proteolytic enzymes plus, bromelain, high curcuminoid turmeric, tomato lycopenes and methylsulfonylmethane, calcium, manganese and a whole food vitamin C blend. Are your systemic enzymes making you mineral deficient? Remember when taking any enzyme you must have the proper minerals with it or the enzymes will deplete your body of the minerals it needs to work. In nature minerals and enzymes always coincide and work together. No other compnay puts back the needed minerals. It is very important that you do not deplete your body of any minerals, in this fast pace life there are so many things that can eat up the minerals every day. Not only does MSM Gold® have Calcium and Manganese to help muscle relaxation, reduced joint pressure, bone and tissue health but it also has a L.E.A.D.S® system that helps with the delivery of the enzymes and does not deplete the body of minerals to work. We only use patented Albion TRAACS® chelated minerals. The Albion line of minerals for human nutrition, offers chelated macro minerals and trace minerals designed to provide optimal health, absorption, quality, and return. Manufactured with the strictest manufacturing standards to insure purity and efficacy the highest quality results can be expected. They are tested at many levels to give your health the benefit for which you are paying. We feel this is a formula you can trust and you will begin feeling the results within days. It's safe, all natural and there are no side effects. When taken on an empty stomach it helps in breaking down excess proteins (uric acid crystals). Supporting mobility and normalize inflammation.Theorized to help reduce symptoms of food allergies and also support immune system. From: Acerola cherry, Indian gooseberry, Kiwi and Strawberry. Potent antioxidants, Helps support flexible connective tissue Whole food not ascorbic acid, helps maintain health and immunity because it fights free radicals Protects DNA and combats the effects of stress. Has been shown to include superior antioxidant properties. Fights free radical damage. Turmeric seems to enhance the health of people and support mobility. Has also in studies shows to help your memory. Supports good prostate health due to their potent activity. Researchers have found tomato lycopenes hold one of the most powerful antioxidants that Neutralize harmful free radicals. Tomato Lycopenes have been shown to support healthy heart function. Is most notable for its effectiveness in normalizing inflammation and decreasing swelling. As a natural systemic enzyme with many uses. Thus, the benefit of bromelain occurs over a broad range of doses and even small amounts maybe beneficial. Is a nutrient found naturally in wheat grass, raw broccoli and even mother’s milk. It has been clinically shown to support healthy joints and tissues. Strong hair and nails and good skin elasticity. This product is Gluten free, Soy Free, Non-GMO, Corn Free, Chemical Free, No Artificial Colors or Preservatives. In full compliance with GMP Requirements for Dietary Supplements. We also have a third party testing lab test for impurities. Take two capsules twice daily with water (morning and evening) preferably without food. Use for occasional muscle and joint pain. If you have a high protein diet. Supports good circulation. Supports healthy heart function. Muscle relaxation, reduced joint pressure, bone and tissue health. Promote healthy joints and tissues. Strong hair and nails and good skin elasticity. Helps fights free radical damage. 1. What type of research is behind the MSM Gold ® formula? MSM Gold ® combines the latest research and clinical studies into one powerful formula. Each ingredient has been independently researched by the most respected names in their fields. MSM Gold ® is a formula you can trust because its ingredients are clinically tested and proven. 2. Are there any side effects, is MSM Gold ® is safe to take with medications? MSM Gold ® has no known side effects. Also, there are no known drug interactions and the ingredients do not alter the action of any medications. The proteolytic enzymes may irritate an active bleeding ulcer. If you are taking blood thinning drugs like Warfarin consult your doctor before taking MSM Gold®. 3. I am already taking MSM, why take this formula in addition? MSM Gold ® combines 5 products into one super charged formula. Plain MSM is a good nutrient to supplement your diet but will not give you the systemic enzyme effect like the combined ingredients in MSM Gold ®. This is a highly effective formula that gives you results within a few days by addressing multiple problems in the body for overall health. 4. I am pregnant / nursing. Can I safely use this formula? supplementation program while you are pregnant or nursing. 5. If I have an autoimmune disease can I still take MSM Gold ®? Yes. It’s safe to take, has no side effects and does not negatively impact medications. It may help enhance a depressed immune system due to its high levels of antioxidants and systemic enzyme ingredients. However, you should consult your physician before beginning any supplement program when suffering from a chronic condition or disease. 6. I am allergic to sulfur. Can I use this formula? MSM Gold ® does not contain any sulfur like the type that makes matches burn or fireworks ignite. It does contain a highly nutritious nutrient Methylsulfonylmethane or MSM, sometimes referred to as nutritional sulfonyl sulfur. MSM should not negatively impact you in any way.